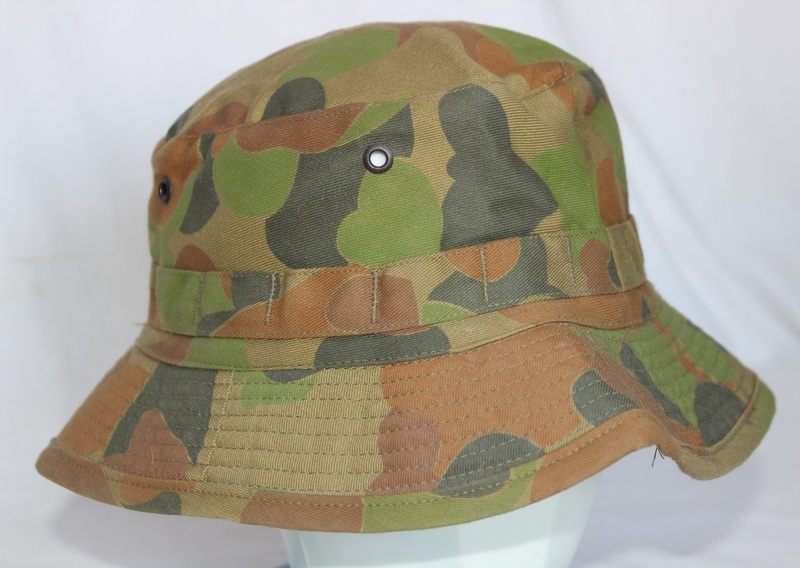 H006. 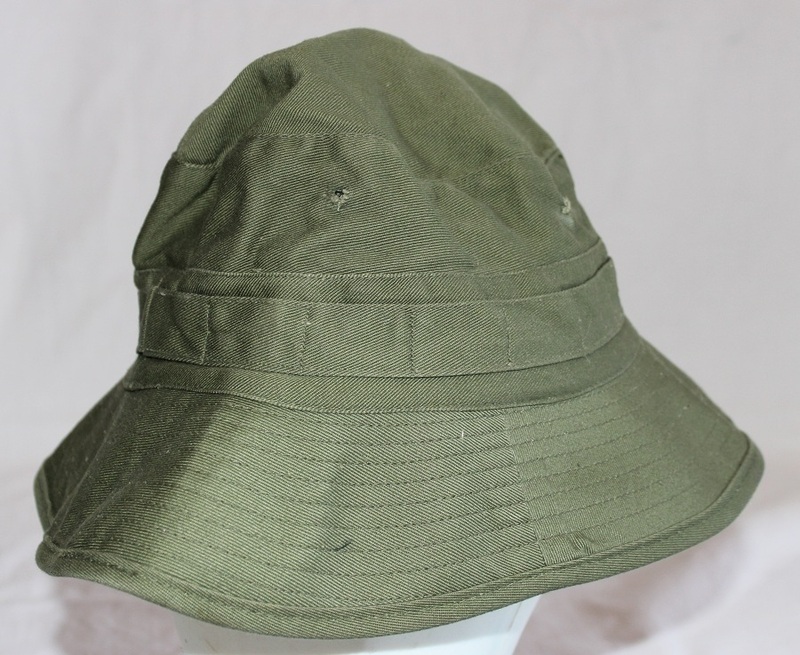 A cotton drill yellow and green survival hat marked AF V279 1945 Made in Australia 7 1/8. H046. 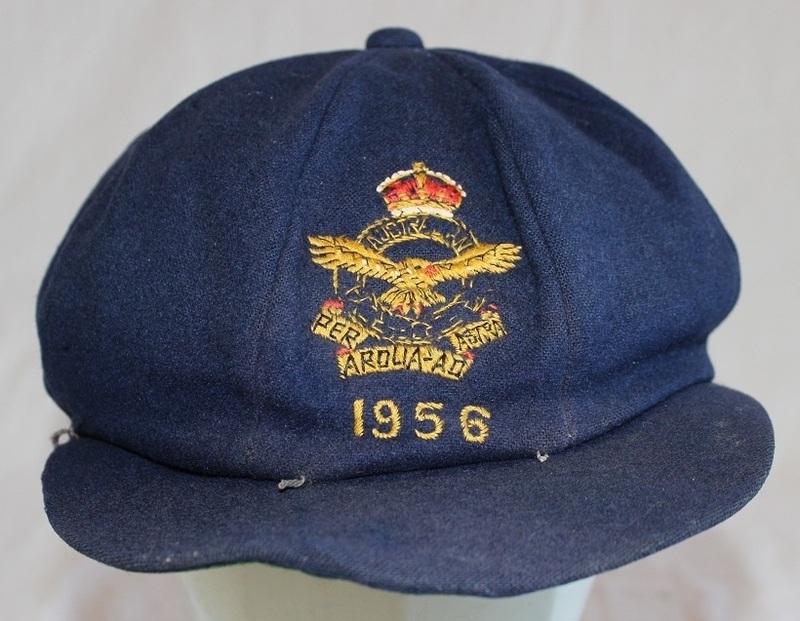 A dark blue cricket cap with RAAF badge and 1956 embroidered on the front. 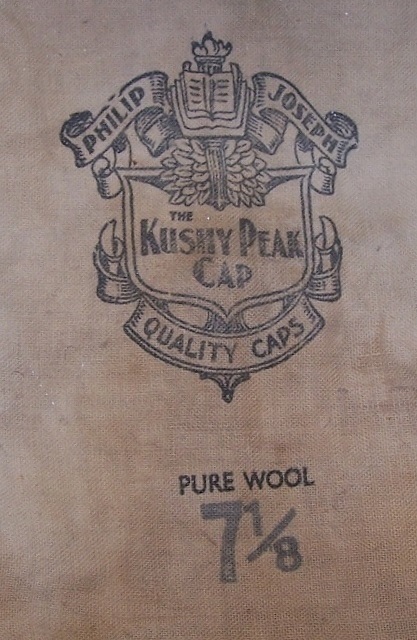 The cap is made by Philip Joseph The Cushy Peak Cap Quality Caps pure wool 7 1/8. 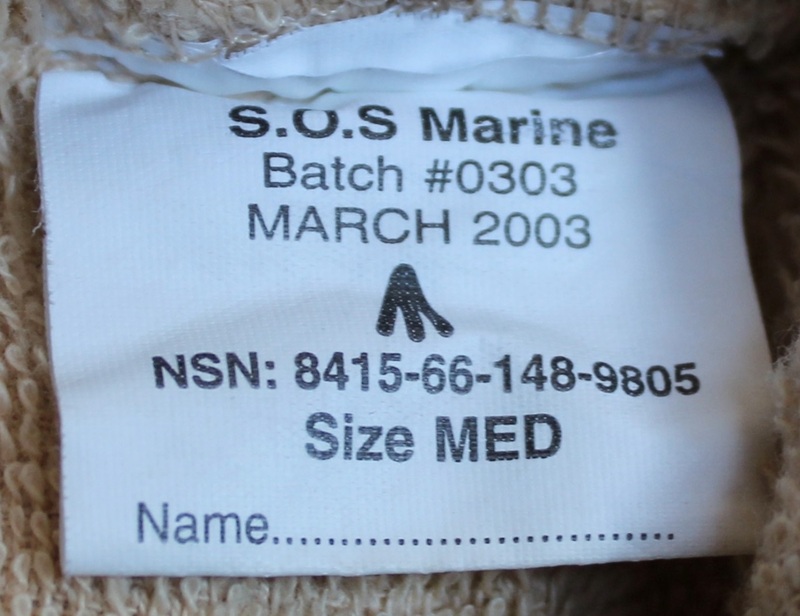 H071. 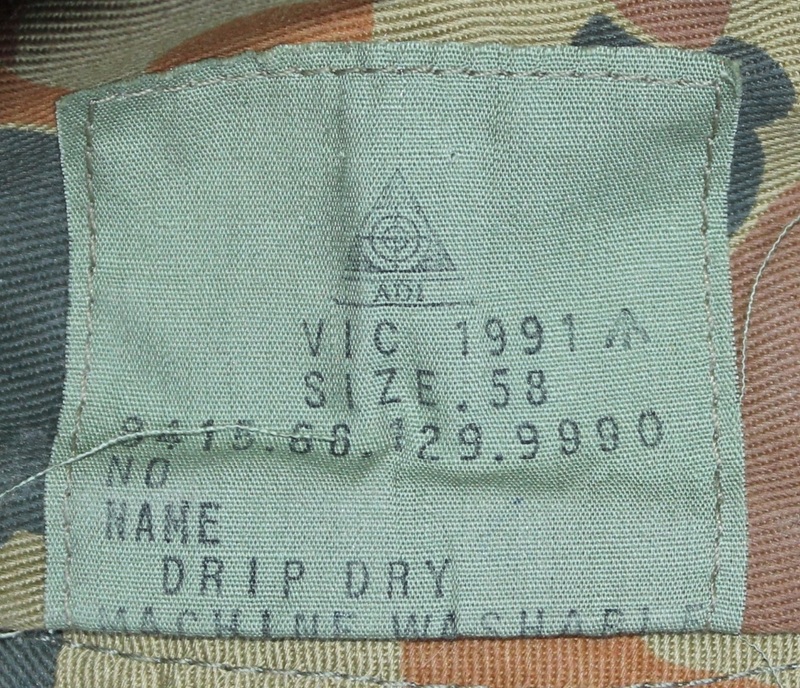 A DPCU bush hat with a label that reads ADI VIC 1991  Size 58 Stock number and space for number and name. H150. 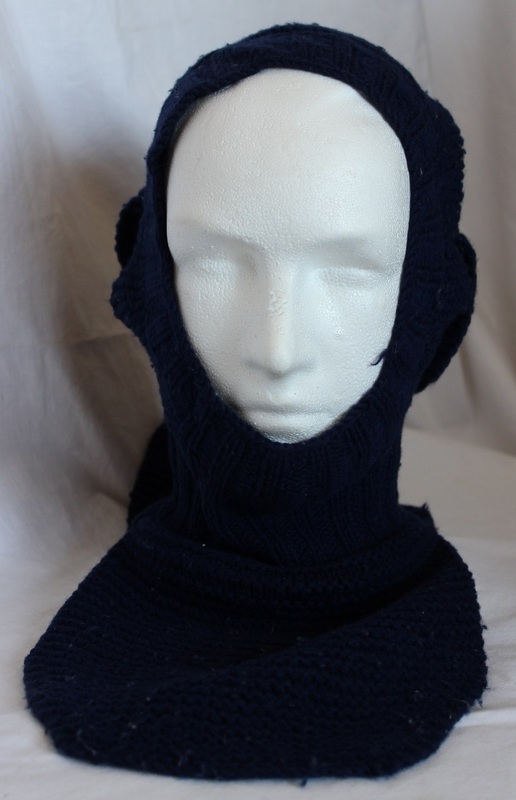 A lightweight dark blue machine knitted balaclava. H178. 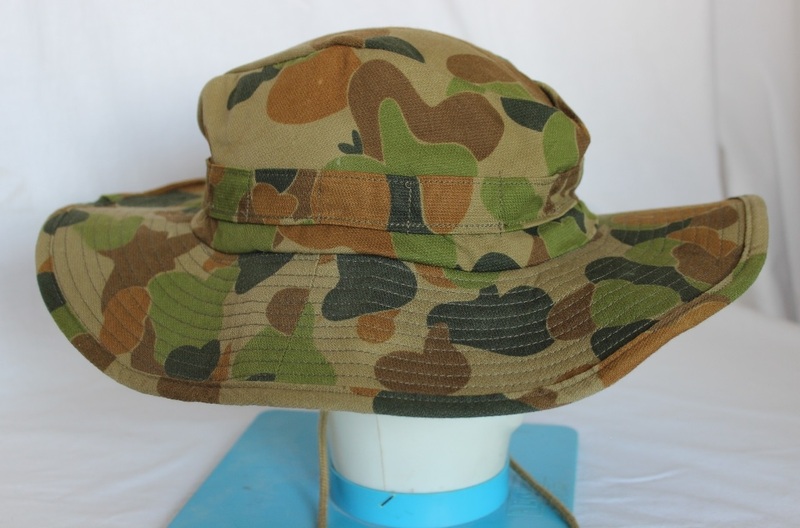 A DPCU Boonie wide brimmed hat made by Combat Clothing AUST P/L and dated 1996. H186. 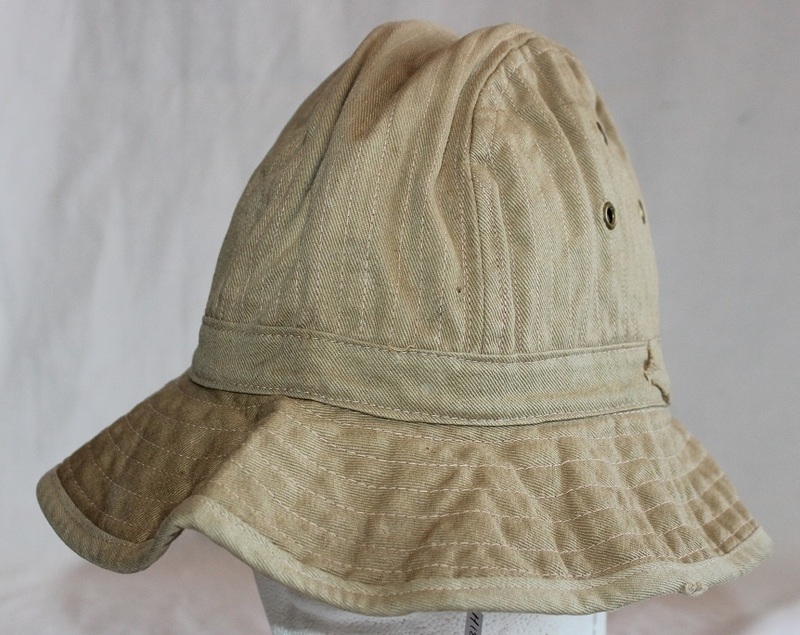 A khaki cotton bush hat made by Philip Joseph and dated 1941, size 7 ¼, hat is marked RAAF 139803. Claude Alexander Rumeau Evans enlisted on 26 Apr 1943 at Melbourne and discharged on 4 Dec 1945 from 7 Mobile Works Squadron with the rank of Flying Officer. H186. 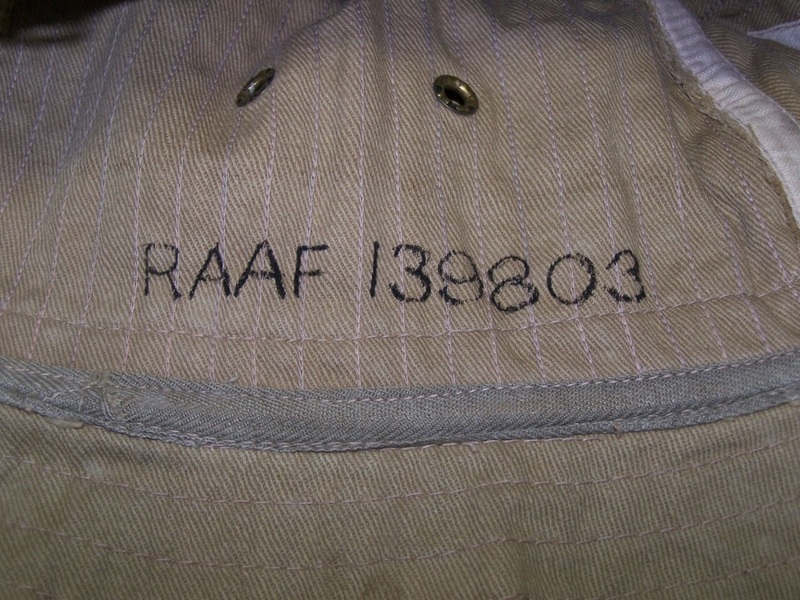 Service number written inside hat. H186. 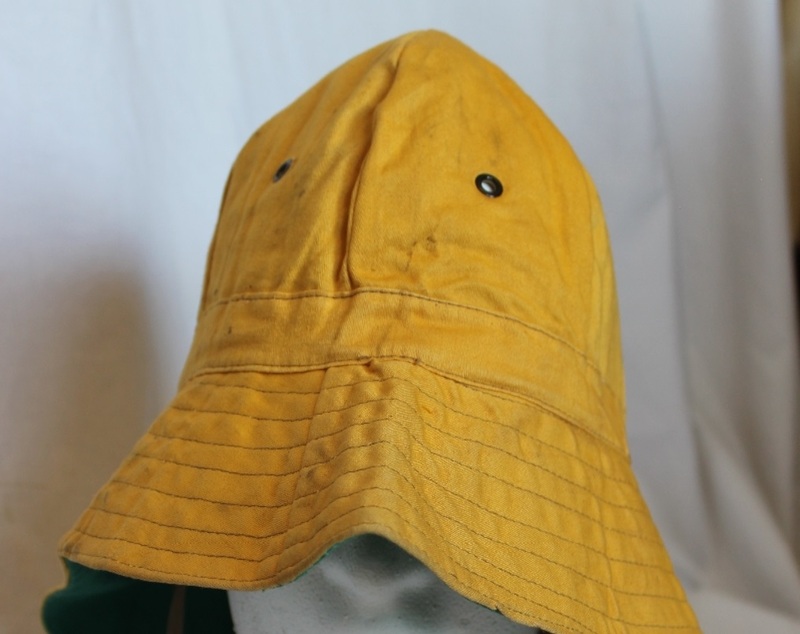 Makers name inside hat. H202. 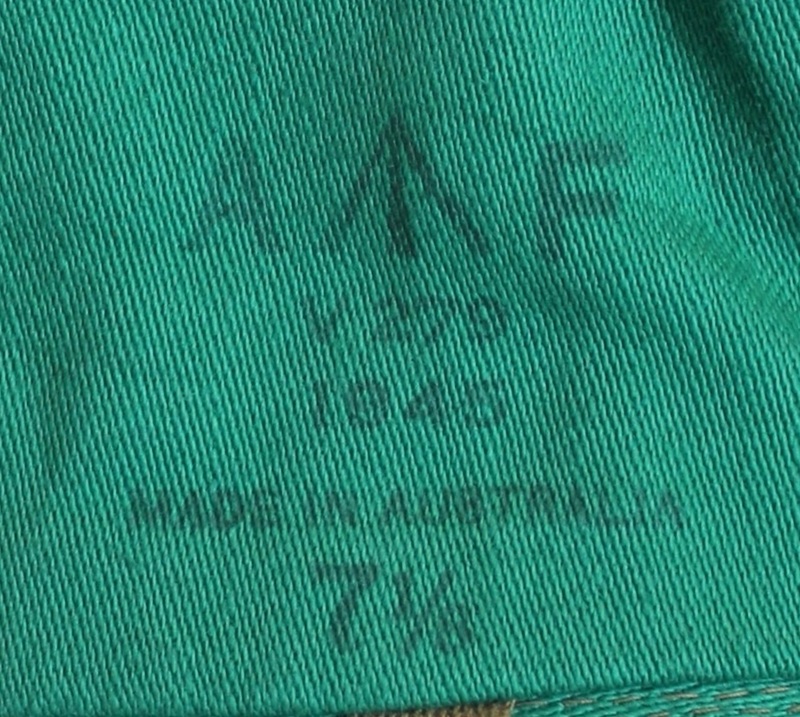 A jungle green cotton giggle hat with a label A.G.C.F. 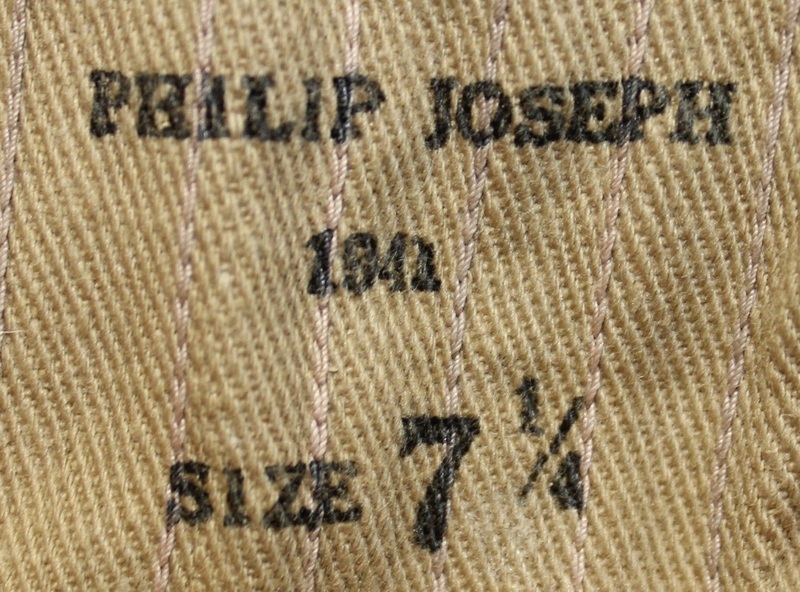 1980  Size 55 stock number and space for number and name. H312. 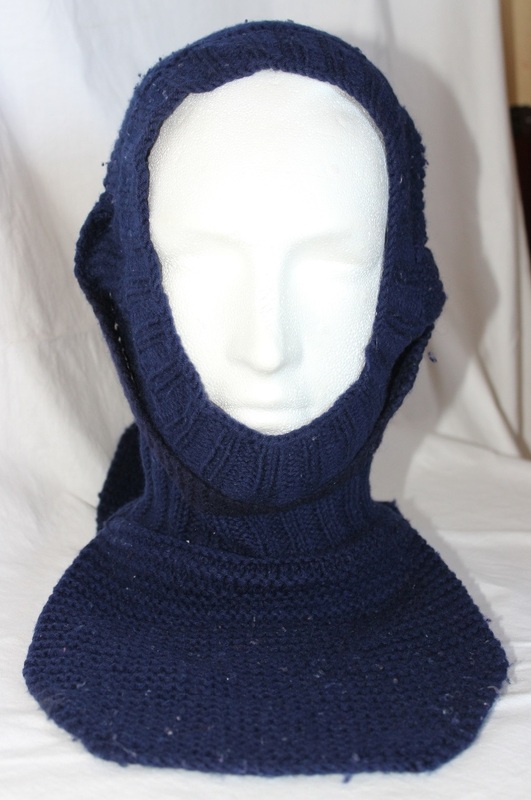 A heavyweight dark blue hand knitted balaclava that has extended flaps for chest and back, also has openings for headphones and a chinstrap that folds down to cover the openings. Named to 425344 Hugh Lile Mitchell who enlisted on 1 Feb 1942 at Brisbane and discharged on 24 May 1946 from RCOR Section RAF Reconnaissance Sect with the rank of Flying Officer. H312. 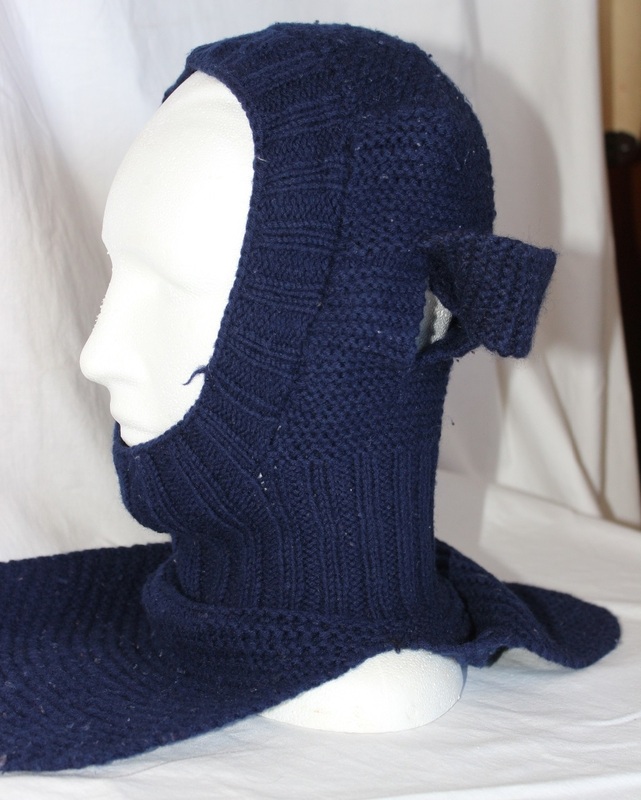 Balaclava with chinstrap in place covering ears. H312. 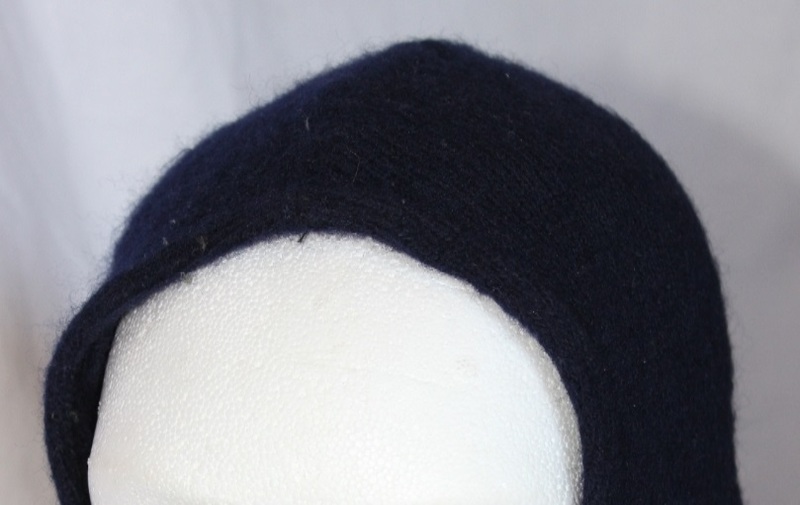 Balaclava with chinstrap behind showing ear openings. H312. 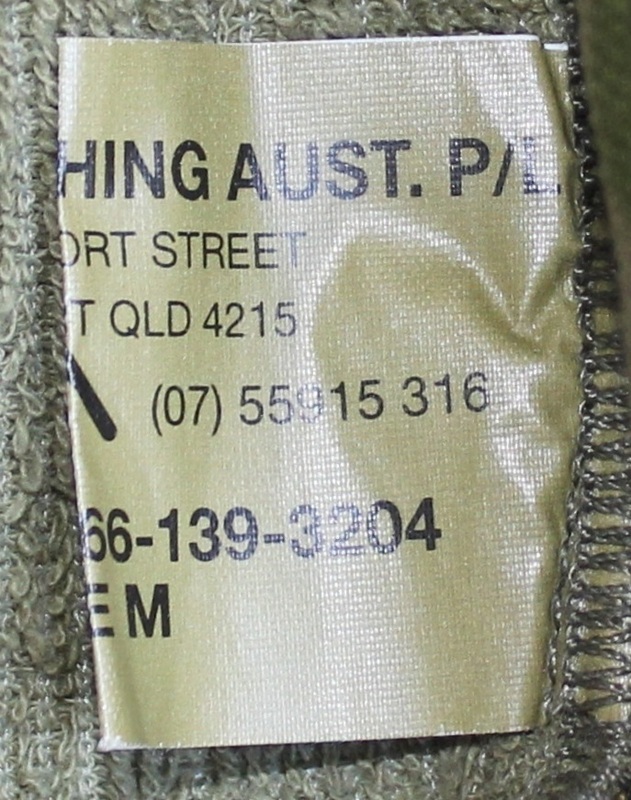 Name tag sewn into front of balaclava. H322. 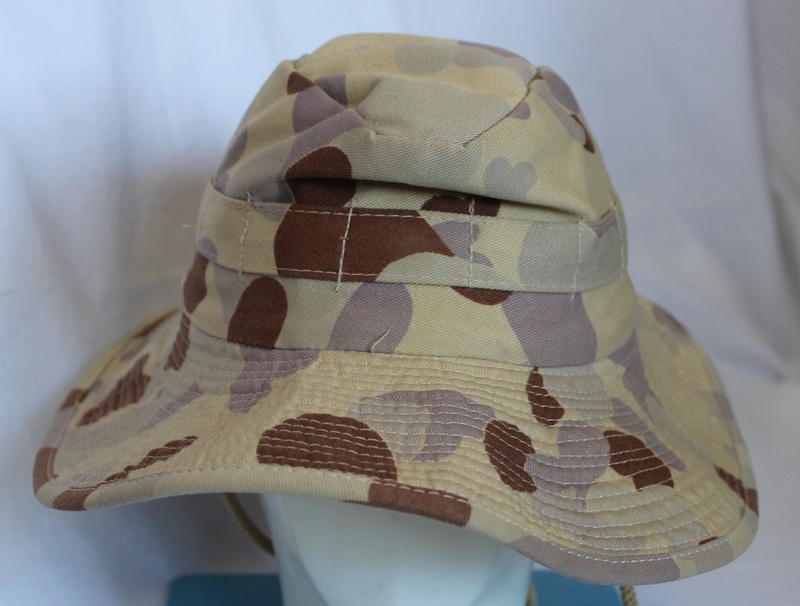 A DPDU Boonie made by S.O.S. 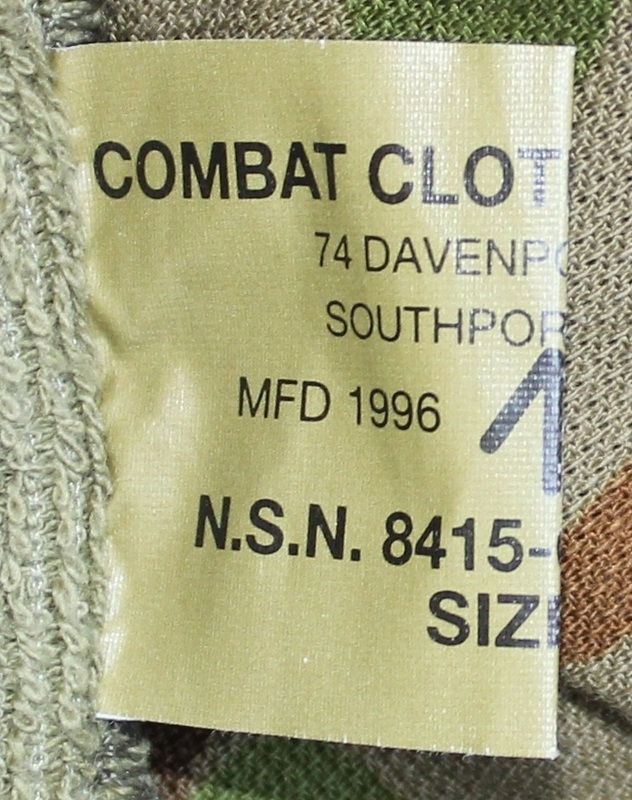 Marine and dated 2003. 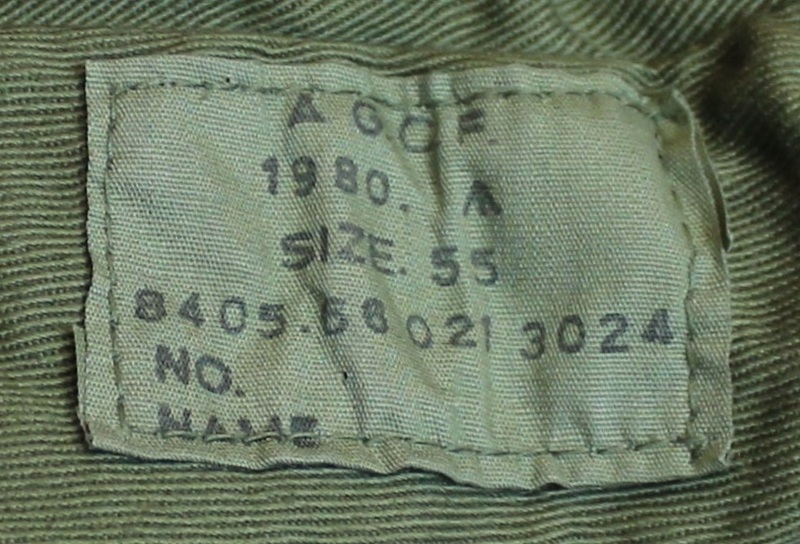 Worn by FLT/SGT Giacomo.